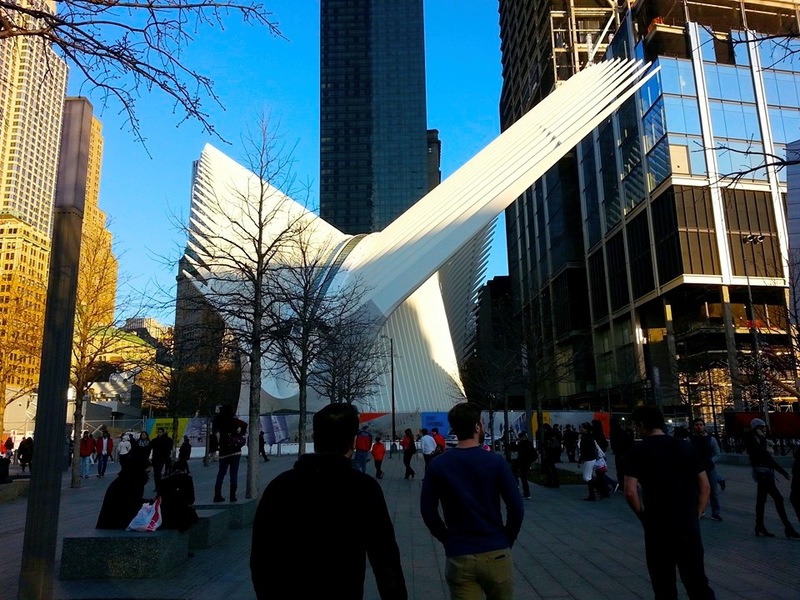 WHY GO: A trip to Downtown NYC is an emotional journey, especially if you haven’t been here since before 9-11-01. While some iconic buildings remain (the Winter Garden, Trinity Church), everything you thought you knew about lower Manhattan is history. The whole landscape has been so transformed as to be unrecognizable. The new soaring World Trade Tower is just that. One tower. For now. Though there is so much construction going on, it behooves aficionados of the offbeat to visit and document each phase of the reclamation. New life is being breathed into this area of New York by the day, both commercially and residentially – its rebirth undeniably compelling. This Getaway is a work in progress, and includes the affecting Sturm and Drang of the 9-11 Memorial, serenity of the Hudson River Esplanade, and one extraordinarily cool hotel that ties it all together. VISIT: National 9-11 Memorial. Nothing will ever come close to the shock, terror and anguish of that cloudless September morning. And nothing will ever assuage the agony of those who lost loved ones. These waterfall pools, framed with the names of those who perished that day, merely offer a place to contemplate, remember and pay respects to the families and friends whose lives were changed in an instant. The new National September 11 Memorial Museum opened in the summer of 2014, and housing steel beams, stairways and other artifacts from the buildings, rescuer paraphernalia and oral histories of witnesses and survivors will no doubt jolt you back in time. 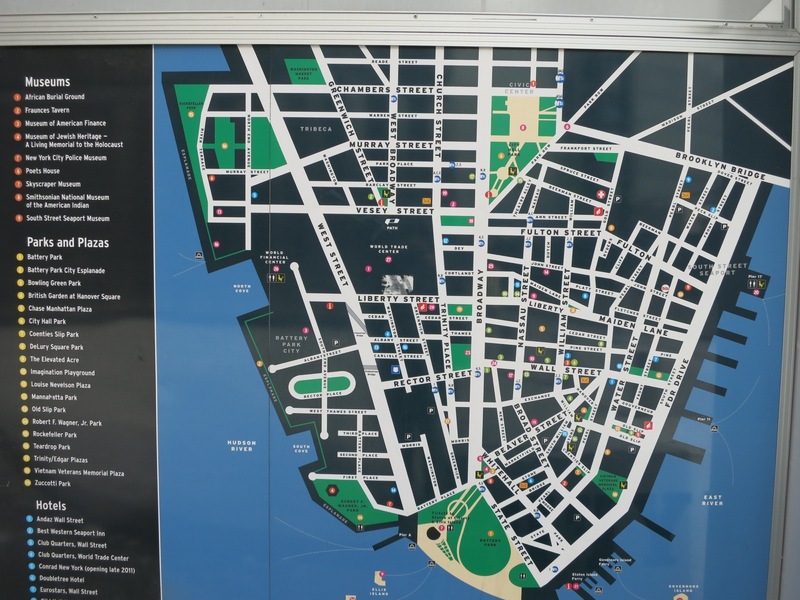 DO: Pick up a map at the Discover Lower Manhattan Information Kiosk at the corner of W. Broadway and Vesey and wander. You’ll need comfortable walking shoes and quick reflexes to dodge cranes, hard-hat engineers and construction crews for now, but that’s all in the spirit of exploration. Try to get photographs of as many angles of the gleaming shard-like World Trade Center as you can. Shooting up into the sky, it’s virtually impossible to miss from anywhere downtown. 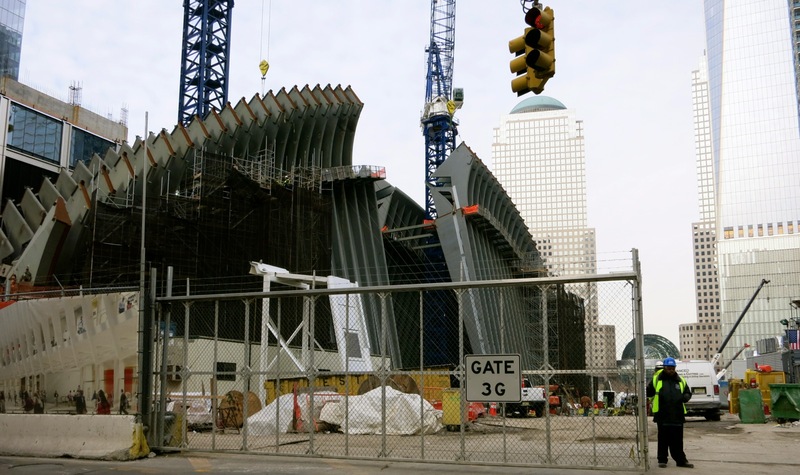 Also, follow the progress of the multi-billion dollar World Trade Center Transportation Hub, designed at completion, to look like a dove taking wing. Back in March 2014, the steel skeleton looked more like a brontosaurus, but now (March 2016) it’s taken off…. and has reached its goal. WALK: Hudson River Park and Esplanade. Five miles from 59th St. to the Battery downtown this beautiful riverfront walkway brings you past marinas, piers, sports complexes (Chelsea Piers), and down in this section of town by the outer edges of World Trade Center, commuter ferry docks and within a Sandy Koufax throw of the Statue of Liberty and Ellis Island. If you so desire, stroll to the Battery Park Ferry Terminal and jump on a boat to the Lady of the Harbor. EAT: This being New York City, there’s a good restaurant on every block. Pressed for time and $$? Grab a burger and incredible fries at Shake Shack. Craving some of the best BBQ (albeit upscale) this side of Ole Muddy? Try Danny Meyer’s Blue Smoke in the Battery. Yearning for Tuna Tartar or a Stone Fire Pizza in one of downtown’s hottest hotels? Try Atrio at the Conrad Hotel. And if you’ve got money burning a hole in your pocket and a taste for fine food (that fans say is “worth the trip downtown”), reserve a table at the North End Grill. STAY: The Conrad Hotel. 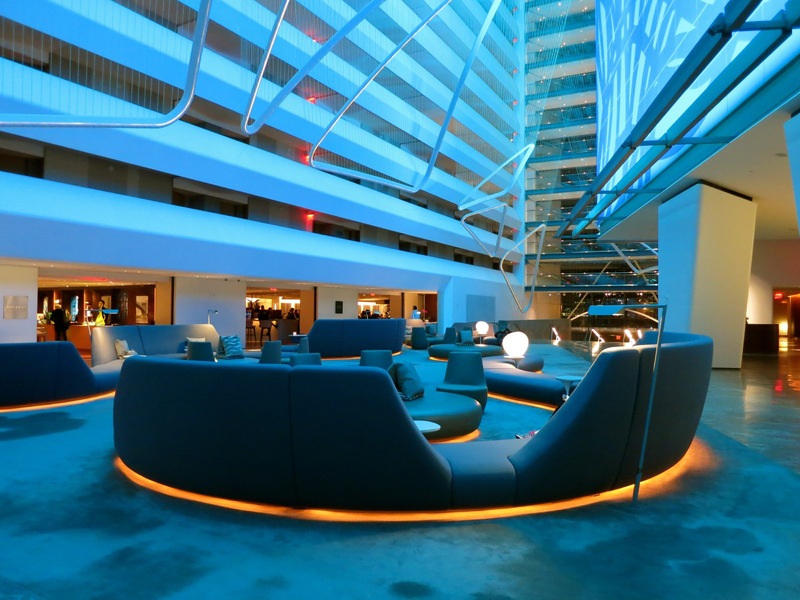 This is Hilton’s upscale international brand (Conrad Hilton, get it), and this newest location in downtown NY has been making more waves than the tons of Hudson River water taxis virtually right outside its front door. 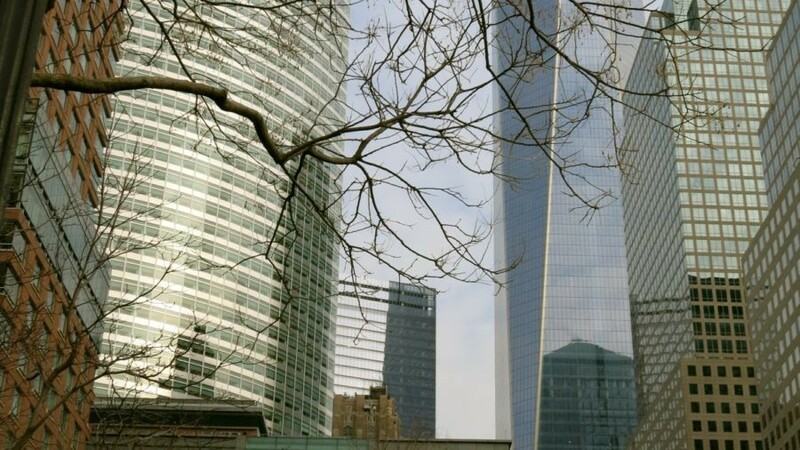 In the shadow of the new World Trade Tower and a block from the Hudson River Park and Esplanade, the Conrad would be suitable for executives and tourists even if it wasn’t so Modern-Art hip. Read all about it here – in this Getaway Mavens review. Rates from $289-$1300 per night depending on size of suite and season. STAY: Millennium Hilton. The Hilton chain seems to have a lock on luxury in the niche of New York. The Millennium is a bit inland but for now closer to the clanging work at the World Trade Center site. Rooms from $259-$800 per night low season to high. We lived and worked in Manhattan on September 11th. We’ll never forget that day. We just visited the September 11 Memorial last month – the first time in over 10 years since we’ve been back to lower Manhattan. I’m really glad we were able to return and put closure on the experience. Thanks for sharing your photography!